I am, at heart, a paper and pen person. My husband has always been trying to convert me to become a techie like him, but I have always resisted. To me, the simpler the technology or method, the better it is. Some things may come with all kinds of bells and whistles, supposedly to make our lives easier, but it would be too complicated for me to appreciate and use. I have to admit I am not very technically inclined. Remember how our parents tend to rely on us to programme the VCR, set up the tv, deal with all the ‘advance technology’ of our time? I think I am turning into my parent. Sometimes, I turn to my #1 for help when the TV, computer or DVD player does’t work for some unfathomable reasons. I kept on using a ‘dumb phone’ when everyone around me has already jumped on the smartphone bandwagon. I said that a smartphone did not need a dumb user (me) and resisted until I had no other option but to get a smartphone because a decent dumb one was not to be had anymore. So it was somewhat a surprise when I realised recently that I have abandoned my notebook, pen and paper for the electronic alternative. The change has been gradual and before I know it, I have ‘gone over to the dark side’. I am an organised person. I plan, I pre-empt, I think ahead, I organise things. I like orderliness and sometimes I think my need for order and neatness borders a teeny bit on the obsessive compulsive side. Therefore, I need tools to help get my life organised. In the past, it has been diary (book form), calendars (physical form), file and notebooks (with dividers to organise the notebooks!). These days, I have almost completely moved to the electronic version. Besides ease of use, the feature that is very important, which drives me to rely more on the electronic version, is the ability of the apps to sync to cloud storage. Most apps do that these days. It is very important for things to be updated and linked up for every equipment I use – MacBook, iPad and iPhone. Most of the time, I use my MacBook because I am at home at lot and I prefer to work on a real notebook rather than a touch pad or a smartphone. But when I am out and about, I want to be able to access the information using either my iPhone or my iPad. If I lose one, I still have the information somewhere and if I buy a new equipment, the same information can be download to the new equipment. Pen and paper, unfortunate, lose out in this. This gets more and more indispensable as the kids get older and have more classes, activities and appointments for me to keep track of. iCal allows me to have multiple calendars so I created one for each person at home and colour coded the calendars so that at one glance, I can tell whose activity or appointment I am looking at. If my hubby needs to know about a certain activities, I send him an invite so he can add it into his calendar. We do not use Google calendar to share calendar because he relies more on his office email than Google mail. Besides, Google mail and Apple iCal don’t quite get along. This app comes with the iOS and I am using it for my To Do List, Reminders, as well as Shopping List. Yes, I find this actually works well as a shopping list for me. To Do List and Reminders are self-explanatory. I created a List called Shopping, where I key in all the items I need to get from the supermarket. Occasionally, I go to another store for certain things, e.g. Daiso for some household or art & craft stuff. I will create another List just for that store so that I will not miss any item. Most of the time, I only need my grocery shopping list. I check off each item when I buy them. When I want to add an item, if it is new, I just key it in; if it is a recurring item like “eggs”, I go to the Completed List and uncheck the item so that it will appear in the Shopping List again. This way I sort of maintain a standard grocery list and check and uncheck as needed. During a recent String Conference that I attended with #3, we had to go to different classes and talks throughout the day. I keyed in the classes and talks into my Reminder and set an alarm for 5 minutes before the start time. That was how I kept track of where to go for what and when during the Conference. When my phone beeped, a glance at the screen would tell me where I was due to be at next. It was so very useful as I didn’t have to refer to the sheets of paper the Conference gave out. 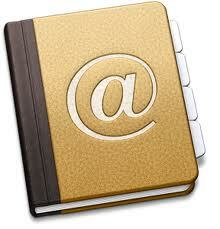 Instead of having a physical one, I rely heavily on the phone Contact List, which is sync to my Address Book. This comes with the iOS as well. I have use it to keep track of Birthdays also, and this app links to the iCal app so that the birthdays show up in my calendar. There is a note section for each contact, so I am using it to keep track of certain information for each individual, e.g. I need to know the vehicle number of a few persons in my Contact List, so I keyed that into their contact information. Whenever I need that information, I just go to the person concerned and refer to the notes. Evernote is one app that I rely on heavily for general organisation of my paperwork, my notes and scribbles and projects. It is literally my virtual filing system. It is actually not easy to start using but once you get yourself set up nicely to start, it is very good. To be honest, I think it takes an organised person to make the best out of this because you first have to have a kind of system in your head and then you set it up on Evernote. The app is only as good as how you use it, so if your thoughts are here, there and everywhere, then you can’t make the best of the app for organising your life. The most it will do is just be a place where you scribble stuff to keep. Still, I think most people can work out a simple filing system, so unless you really cannot even manage to set up a simple filing system, this app will still be useful to you. Imagine I have a physical folder for, say, homeschooling, one for blog stuff, one for family stuff. Instead of a physical folder, I create a notebook or a stack of notebooks. Everything that pertains to that topic goes into that notebook or stack. For example, I have a Stack (a group of notebooks) called Blog Planner. It consists of 3 notebooks : Ideas & Draft, Blog Related Info and Published Posts. In Ideas & Draft, I have many notes, each one a new article draft or an article idea. In Blog Related Info, I keep notes about the mechanics of running the blog. E.g. if I come across an article about how to keep the blog secure, I webclip it here so that I can refer to it later. Using Evernote, you can webclip things that you see on the internet that you want to keep, just like how you cut magazines for, say, recipes. Some people use Evernote to organise their recipes and meal plans. You can also attach a photo or file to a note. So it is very versatile. Eg. if I go to someone’s house and see something I like, I can take a picture (with owner’s permission of course) and file it in my Evenote Renovation notebook as an idea for my own house renovation project. Kids come home with school letter you want to keep? Scan the letter, or just snap a picture of it, and file here. You can go paperless and you can access the letters anywhere as long as you have Evernote app on your smartphone, tablet or notebook. Want to keep an important email somewhere for future reference? Forward it via email to your Evernote account. Potentially, you can do a lot of things using Evernote. I think I am only utilising a small fraction of its functionality. One downside is that recent upgrades have been rather problematic and comes with certain unpopular features. I hope the Evernote team solve the problems soon. 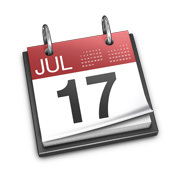 I also wish that Evernote will somehow incorporate calendar function into it. That way, I may not have to use iCal separately. To use Evernote, you need to set up an account. It is free and you only pay if you want additional features, like offline access. So far, the free account is more than enough to meet my needs. 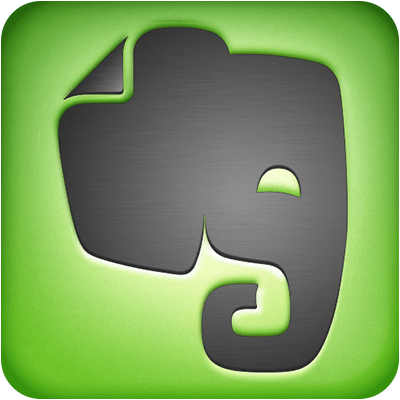 To sign up for Evernote, click here. Instead of using Evernote to organise my recipes and meal plans, I found this free app that does it better because it is specifically designed for recipes and meal plans. My problem is that sometimes I run out of idea what to cook. The reason why I run out of idea is because I don’t remember all the dishes in my repertoire. So I started adding recipes into this app. Sometimes I don’t actually have the recipe so I just type the name of the dish in. If I have a photo, I will add it in. This can be done in a snap using iPhone or iPad. This way, I create a database of dishes. When I run out of idea, I look through and pick up things that may have slipped my mind. Normally, I don’t make meal plans these days, but now and then, I do want to write at least the week’s meals down so that I don’t have to keep thinking about what to cook. This app allows me to do that. What I want to do, actually, is to create “standard meals” – the same dishes make up a meal, and I just pick out a meal instead of a dish. I am still working on that on this app. This app also comes with webclip ability. For certain popular recipe sites, it automatically add the recipes with all the format and pictures in, when you webclip it. For other sites, you simply have to copy and paste into the pop-up webclip window. Since I own an iPad and I have this app on my iPad, if I need to refer to a recipe, I just bring my iPad to the kitchen, tap on the “Start Cooking” button and the screen will freeze on that recipe. I don’t have to deal with paper recipes anymore, which is great! The app also allows you to create your shopping list based on your menu plan. However, I do not really need this function because shopping for me includes sundry items as well, not just food items. I prefer to have one list that incorporates both than to refer to two different lists. That’s why I still prefer to use Reminders for my shopping list. 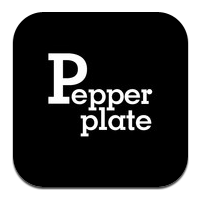 To use this app, you also have to set up an account at Pepperplate. It is free and I go for free stuff as much as I can. There is another app that I prefer over this one. It is the MenuPlanner. But I have to pay for MenuPlanner and the ability to sync using Meal Planner. Pepperplate is free and still allows me to sync. It works well enough, so I settle for the free deal. I use DropBox (referral link) more so in the context of eBooks, eWorkbooks and the app, PDFNotes. Yes, increasingly, I find myself moving towards eBooks because they are generally cheaper, and they don’t take up space. I wrote about PDFNotes before so I will not repeat here. I also use Dropbox to backup some of my important files. A lot of other apps link up with DropBox so this is really a useful tool. As with everything that involves cloud storage, you need to set up an account. Again, this is free. You can pay for more storage if you need. There are also other ways to earn more storage space, such as referring a friend. I am sure there are better apps that does similar thing but I just use Plaintext because it is simple and there (my husband started using this so I just kept on with it). It is basically an app for simple note taking. Of course, I can use Evernote to do this, but Evernote is a more complicated app. What I want is simply somewhere for me to jot down tiny bits of information that I may need now and then, but otherwise, not terribly important. For example, a discount code for an eStore that I occasionally buy from. Instead of creating a new notebook in Evernote just for that few alphabets/numbers, I “jot” this short code down in Plaintext. Plaintext is my Sticky Note. I don’t like to use Notes app that comes with the iPhone because the notes will appear in my inbox, which I do not like. All the little information I jot down are not something that I need to refer to all the time, so I do not want to keep seeing the notes every time I check my email, which is very often. I also like the fact that Plaintext syncs my notes to my DropBox. 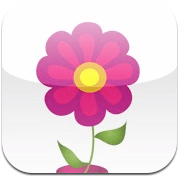 Before the era of apps, I used to use an online service to help track my periods. It was quite disappointing when I discovered that the site does not have an app now that apps are so prevalent. So I searched and found this free (of course!) app. It tracks your period and ovulation and even your mood! You can export/email your information for backup. The Lite version is free but if you want more functions, then you pay for the full version.